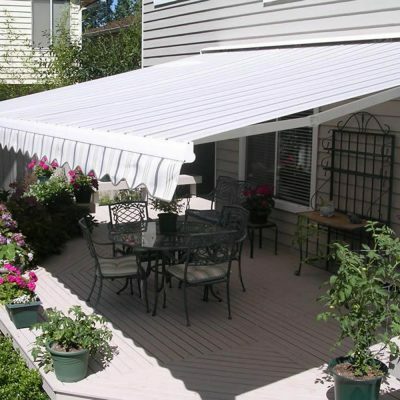 Installing new retractable awnings has always been a creative and inspired way to utilize your home’s outdoor living space and enhance its external appearance. 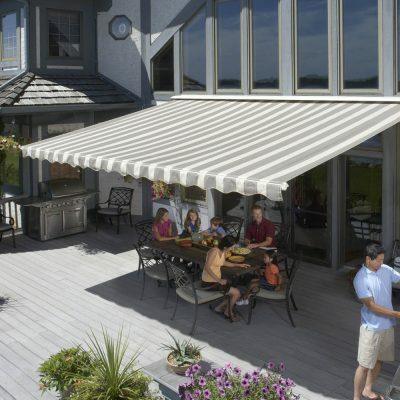 Let Weather Armor show you how to turn your outdoor living space into a comfortable area for your family’s activities with Rolltec Retractable Awnings. 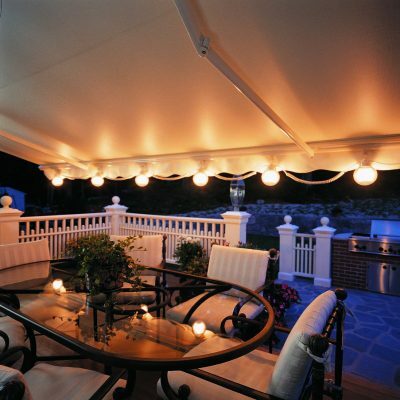 Weather Armor is an exclusive distributor and installation specialist of Rolltec retractable awnings in Columbus, Ohio. 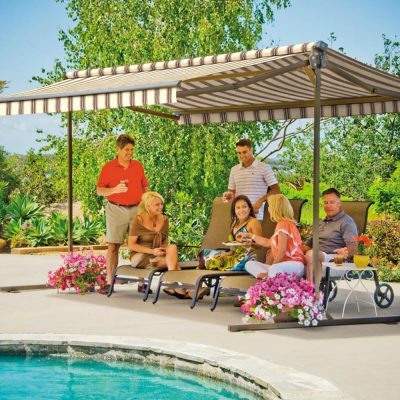 You can choose from a complete line of Rolltec’s reliable, high quality retractable awnings which include popular top-selling brands like the Adalia Extreme, the Adalia X3M Plus, the Tilt-O-Shade motorized retractable awning, the sturdy Physique XL, and the motorized Rolltec Atrium. 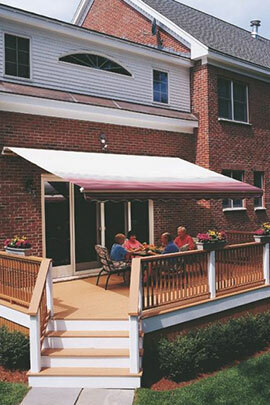 Rolltec’s customizable retractable awnings systems allow Columbus homeowners like you to choose specific sizes, colors and trim for your outdoor living space requirements.Rolltec retractable awnings are made from 100% solution-dyed acrylic that endure every day wear and tear, and resist mildew, dirt and grime, year in and year out. These come in a variety of fabric colors and designs to suit your specific choices. 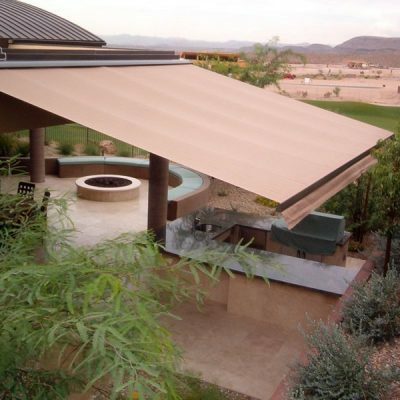 Rolltec is known for producing retractable awnings that accentuate and distinguish home designs. 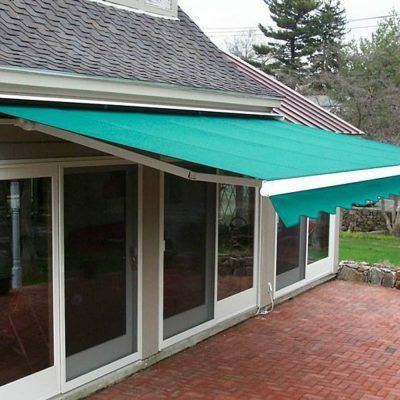 These awnings give each home an added function that clients can use for entertaining family and friends, while protecting them from the glare of the sun’s harmful UV rays, as well as from rain showers. Professional Retractable Awning Installation At Its Finest! 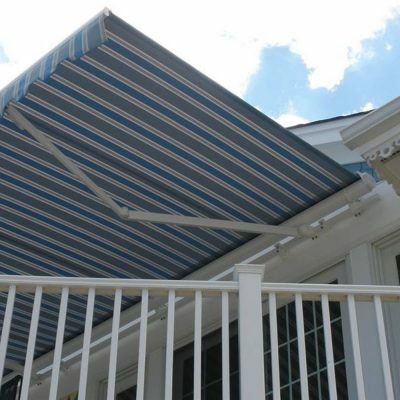 To ensure that your new Rolltec retractable awning performs at its very best, Weather Armor has teams of factory-trained professionals well-versed in proper installation of these products. Our commitment is to provide you with the best products and customer service in Columbus. 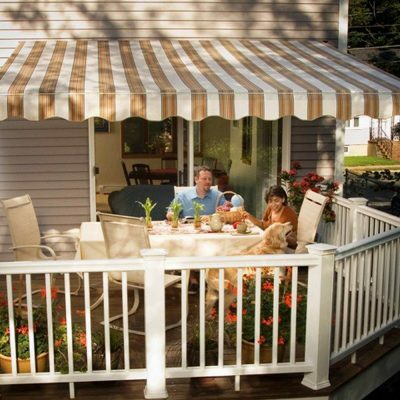 You can be confident that your new Rolltec retractable awnings will be properly installed to make your outdoor living space a beautiful and functional family area.